For complete ingredient information, click here. We make our own super premium ice cream using simple, real ingredients. We work hard to make sure each ice cream flavor is as creamy as possible, intense in flavor, and has just the right amount of sugar. 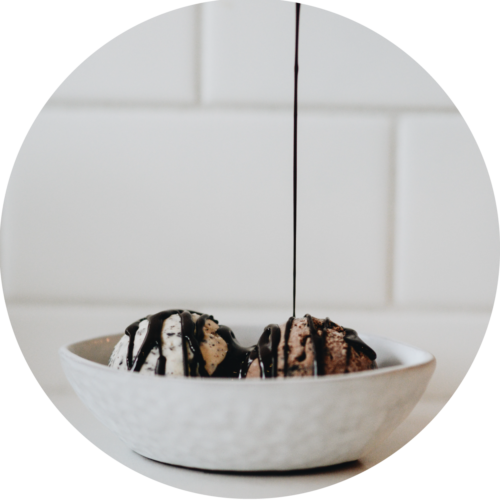 We do not use corn syrup, stabilizers, fillers, artificial flavorings or food colorings and almost everything we include in our ice cream is made from scratch. Our classic flavors are made from organic cream, organic milk, organic cane sugar, and organic egg yolks. Our vegan and dairy-free flavors are made from organic coconut and cashew milk. Our classic flavors are made from organic cream, milk, sugar, and eggs from Straus Family Creamery. Our vegan and dairy-free flavors are made from organic coconut milk and homemade cashew milk. Jami first started developing her chocolate chip cookie recipe in the 70’s and has baked a countless number of cookies since then. 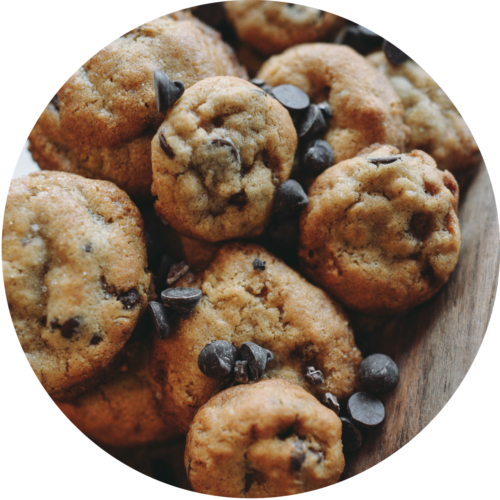 We think ice cream + cookies are the perfect combo and include a small chocolate chip cookie (either traditional or gluten-free) with every ice cream order. JoJo’s can also accommodate larger cookie orders for local gatherings such as school events, baby showers, corporate lunches, summer barbecues, and weddings. Please call in advance to place an order for an event. Jami first started developing her chocolate chip cookie recipe in the 70’s and has baked a countless number of cookies since then. 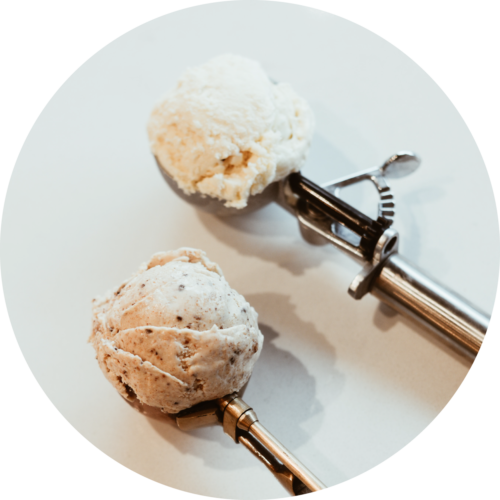 We think ice cream + cookies are the perfect combo and include a small chocolate chip cookie (either traditional or gluten-free) with every ice cream order. JoJo’s can also accommodate larger cookie orders for local gatherings such as school events, baby showers, corporate lunches, summer barbecues, and weddings. JoJo’s serves three sauces made from scratch: Sea Salt Caramel, Hot Fudge, and Hardening Chocolate. We sell our sauces on top of ice cream, on the side, and in larger to-go containers. 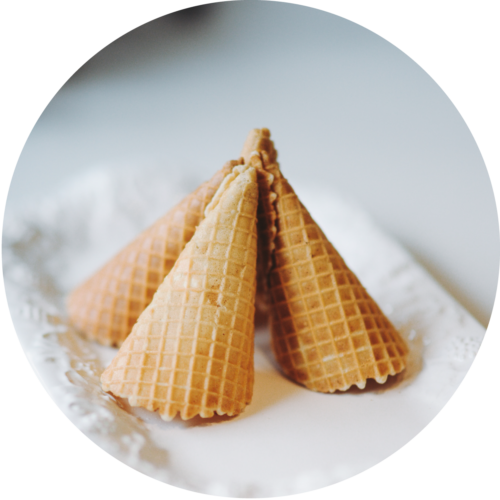 We are big fans of waffle cones. 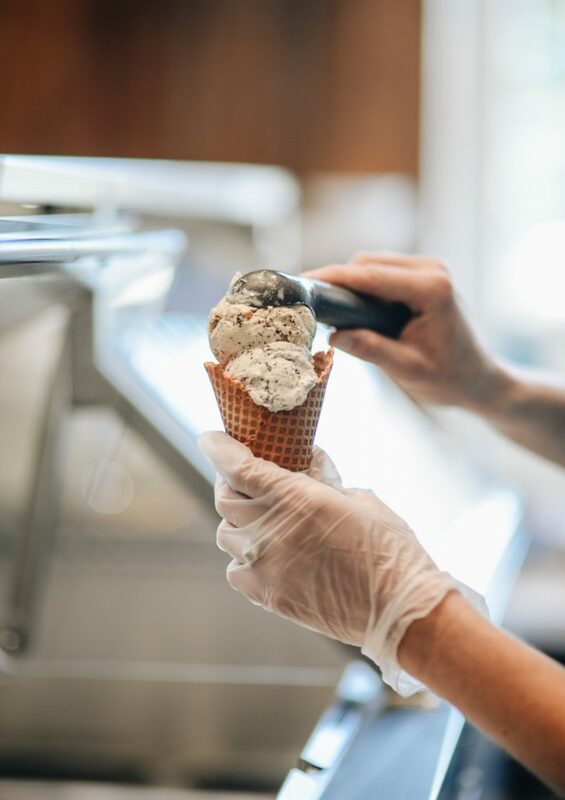 We make homemade traditional and gluten-free waffle cones throughout the day because we believe that good waffle cones taste best when eaten soon after they are made! 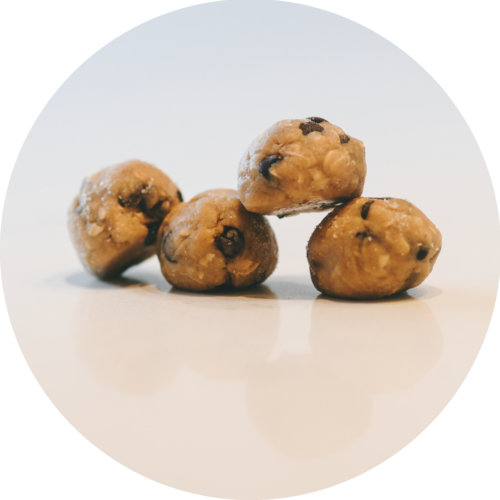 JoJo’s sells both traditional and gluten-free frozen chocolate chip cookie dough for customers to take home. The cookie dough comes with very specific directions that are completely foolproof – you do not need to have any prior baking experience. 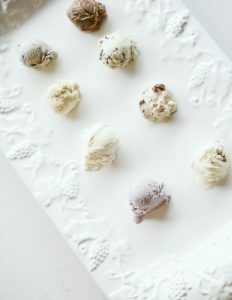 Best of all, since the cookie dough is frozen instead of refrigerated, it will last for months in your freezer and you can get away with making only one cookie at a time whenever the craving strikes. Follow us on Instagram, Facebook, and Twitter to get the latest scoop. You can also purchase JoJo’s Creamery gift cards online here! ©2016 JOJO’S CREAMERY. ALL RIGHTS RESERVED.